When you start from little to no camping gear, it will be easy for you to pick the items that you’ll absolutely need and those that will keep you entertained. Car camping is different that backpack camping and so is family camping in relation to friends camping. Even so, there are some general guidelines that you can follow and some best buy examples that will keep you from spending too much. For those of you who like technology and they’re not afraid to invest in it, there are some cool gadgets that will enhance any experience out in the wild. 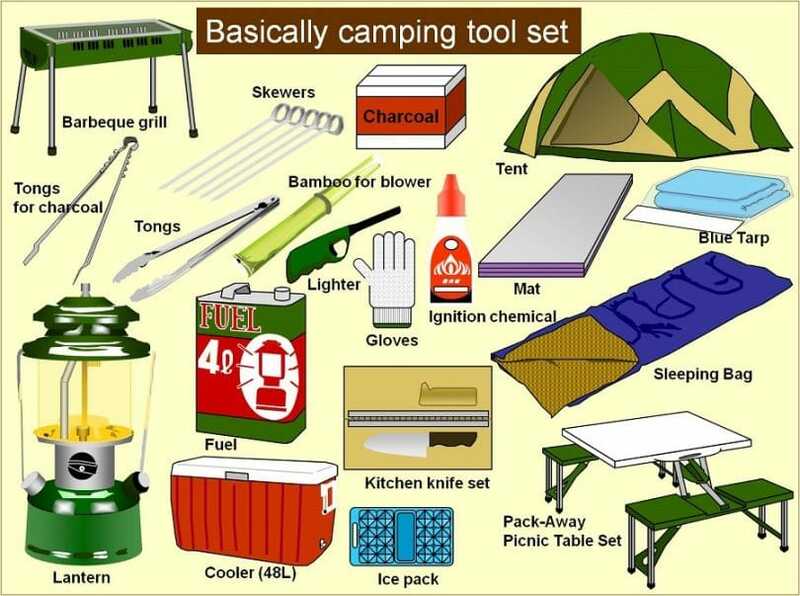 Basically, what you’ll need for camping is shelter, bedding, food, clothes, first aid items and other miscellaneous things. When you go car camping, you won’t have to worry about the weight of the stuff you’re taking with you. Conversely, you’ll need light gear that should meet the most basic purposes. In case you’re taking the kids with you, you’ll have to think about feeding them and entertaining them constantly. Things will definitely be different if you go by yourself or with friends. To be more specific, a big family with multiple kids will think of bedding and food as their main priorities. However, individuals who only have to take care of themselves will be interested in things like waterproof headphones and flashlights with USB ports. 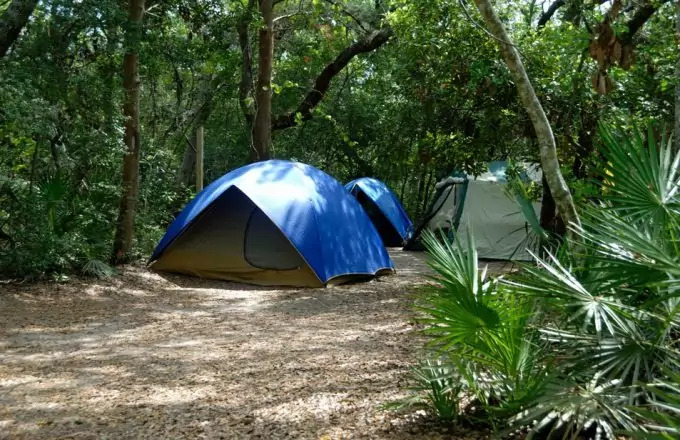 Each type of camping requires varied gear, so, as it follows, you’ll see which are your best buy options and read through a complete list of camping items that you can easily adapt to your needs. If you are a tech passionate, you won’t be disappointed either! You should have on your list the following items: tent, sleeping bag, camping mattress, camping chair, headlamp, lantern, stove, cooler, coffee maker, solar charger, knives, multi-tool, binoculars, hammock, spork, water bottles, water purification means and appropriate clothes. Also, see our article on the best luxury camping tents, a must-read article for everyone. The best camping gear is always expensive, so here are some products that are ideal when it comes to their quality/price ratio. Tent. According to expert reviews, Coleman Instant Tent 6 is your best option for car camping with friends and family. This is a very spacious tent, meant for 6 people to fit in. It measures 72.01 x 107.99 x 120 inches. If you can’t figure out how much that means, think about having 2 queen airbeds inside. It weighs 24.69 pounds and it is provided with one door. What’s also great about this tent is that you can set it up instantly. It comes with pre-assembled poles, which means you won’t have to go through the hassle. Not only easy to set up, but also weather resistant, it keeps away the water thanks to its patented welded floors and inverted seams. This tent is available in other sizes too, so if you consider it fit to your needs, then you can look it up. Sleeping bag. Kelty Callisto 20 Degree Sleeping Bag is your best buy option in case of car camping. Among its useful features, this one can be zipped together with another alike. So, couples and families with kids can sleep together in the same sleeping bag. It comes with a stuff sack and its dimensions are 3 x 34 x 80 inches. As for its temperature rating, it is 20 Degrees Fahrenheit. However, you should know that is not a temperature anyone would feel comfortable in this sleeping bag. One will probably not die, but he or she will be close to hypothermia. Shaped like a rectangular, it offers enough freedom of movement for kids who don’t like to feel restrained. Sleeping pad. Thermarest Ridge Rest Solar Sleeping Pad is an alternative to sleeping mattresses. The latters are quite expensive and it would mean you’d be investing lots of cash for the entire family. However, when you go for a cheap and very effective sleeping pad, no member of the family will feel cold during the night. It reflects the body’s temperature back into the body and it is 10% warmer than its previous version. Its thickness measures 0.75 inches and its dimensions are 21 x 10 x 9 inches. If you really want to pay more for an air mattress, then Therm-a-rest NeoAir Dream is definitely recommended. Camping chair. With Kijaro Dual Lock Folding Chair you’re in luck! Besides the fact that it comes in many different colors, it can sustain up to 300 lbs. It is a comfortable folding chair that keeps your posture correct. It stays in place when you lock it down and the mesh from the chair’s back lets the air go through nicely. Its total dimensions are 45.7 x 35.4 x 26 inches. This is an item that provides quality and it is not expensive compared to other items alike. Petzl – TIKKINA 60 Lumens is a headlamp that runs on 3 AAA batteries. It runs for 180 hours on low mode and 120 hours on high mode. It is splash proof and it weighs close to nothing. Remember that this is not the most advanced headlamp. This is the best you can get at a relatively low price. Anyway, in case of car camping, you won’t need anything more powerful than this headlamp. It does its job and it’s pretty resistant. Lantern. At just 7 inches tall and under 3.5 inches wide, the Rayovac SE3DLNACOM Sportsman 240 Lumen 3D LED Lantern features durable ABS construction. It is waterproof, so it is safe to take it with you while camping regardless of the weather conditions. Offering you up to 40 hours of light on high mode and up to 90 hours of light on low mode, this lantern is provided with the type of LEDs that don’t have to be changed ever. Stove. Cooking might be optional while camping, but a hot meal feels so great that you can’t say no to Coleman Triton Series 2-Burner Stove. This isn’t your fancy choice, but your most practical choice considering how much you’re paying for it. Among its features is its ability to boil water in about 5 minutes. This stove has good flame and a good simmer. The cooktop space isn’t very roomy, but it’s enough. Cooler. Going from heat to cold, the need of a cooler can’t be disputed. What would camping be without a cold soda or a cold beer to complete the day? In this regard, you can opt for Coleman 62 quart Xtreme Cooler, which comes on wheels! It is advertised as being ideal for camping, tailgating, picnicking, and more. If you keep it outdoors, for like 5 days at a maximum of 90 degrees Fahrenheit temperature, you’ll still have ice in it! Its dimensions are 31.5 x 17 x 15.5 inches. Coffee maker. While serving the best cup of coffee in the wild is not that easy to achieve, you can at least settle for a freshly brewed cup of coffee, compliments to Melitta Ready Set Joe Single Cup Coffee Brewer. You’ll have to wake up earlier to gain some strength and maybe prepare a cup of coffee for someone else too! Even if this coffee maker holds just one cup, it is good enough to take with you on camping considering how low priced it is. 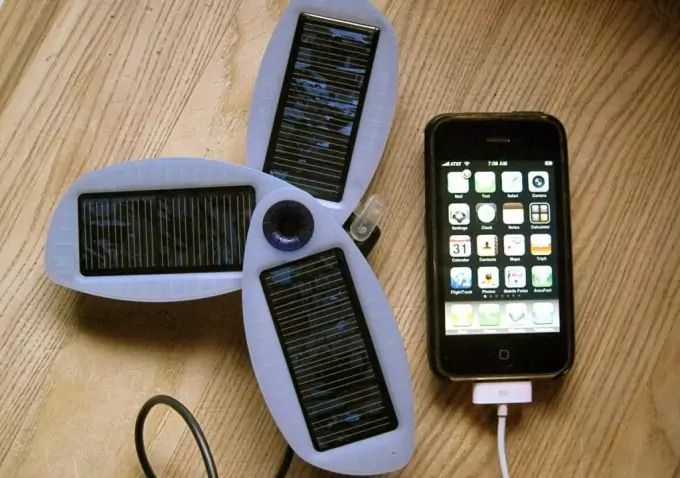 Solar charger. A best buy suggestion, the Anker 14W Dual-Port Solar Charger with PowerIQ Technology allows you to charge 2 devices at the same time. It is easy to attach anywhere and it is smart enough to detect the kind of power needed by your device. You can’t just disappear for days, so you’ll need this to keep your phone charged and to keep listening to your favorite tunes. Kids will appreciate not having to go on Internet detox for a few days! Having a multifunctional knife at hand is imperative when camping. 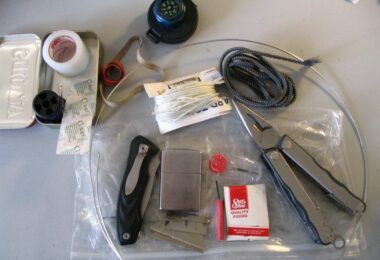 The Victorinox Swiss Army Classic Knife is among the best buy suggestions because it is compact and sturdy, it doesn’t cost much, it comes with a lifetime warranty for the stainless steel it’s made of and it features no less than 7 useful tools, such as scissors for everyday jobs, tweezers, toothpick and key ring. This knife is a terrific idea for a gift, so if you ever feel uninspired, you can’t go wrong with this one! This item is not really a must have, but when you want to know what’s going on around you and you can find out just by spending around $80, you might consider it! Nikon 8217 Trailblazer is an all-terrain binocular that is resistant to water. It is arsenic free and it comes with anti-reflective compounds. A crystal clear with beats any kind of view, so if you’re interested, you can learn more about its technical features. A hammock is a pleasure to lie in and relax after a hike or after entertaining the kids for hours. You just need 2 trees and the Grand Trunk Ultralight Hammock to let the nature spoil your senses. This one is made of polyester; it is sturdy and supports around 250 pounds. It is resistant to mildew and it comes with a 2 years warranty for your peace of mind. Keep in mind that it does not come with straps. Also called spoon and fork in one, the spork is multifunctional and a must have! Going for a titanium spork is best because the plastic ones will not last too long. The Light My Fire Titanium Spork is hypoallergenic, non-toxic and biocompatible with human skin. It doesn’t leave any metallic taste in your mouth after eating and it is easy to hold in your hand. TSA approved, this item will save you space and enhance the pleasure of eating in the wild! Water bottle. Each person who goes on camping should have her or his own water bottle. The variety you can choose from is overwhelming. The Nalgene Tritan Wide Mouth BPA-Free Water Bottle is a best buy item, a best seller and it is compatible with most water purification devices. That is an extremely important feature for a water bottle. Choosing the perfect color won’t be a problem because it comes in 19 different colors. 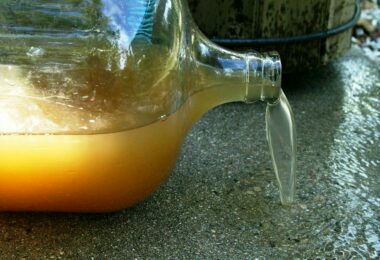 Water purification device. Drinking purified water is a requirement for your health, so don’t go on camping without the Sawyer Products Mini Water Filtration System or a similar device. You can opt for water purification tablets as well, but you have to find a way to filter the water first because it’s not healthy to digest sand and tiny stones. If you get both, you’ll be safe until you go back to safety. When it comes to clothes, it really depends where you’re going and how long you’re staying. Rain jackets are very useful and insulated jackets can be real life-savers if you expose yourself to harsh weather conditions. Another clothing item you could find useful are hiking pants. Again, the variety is overwhelming, so you’ll have to find something that suits your needs. 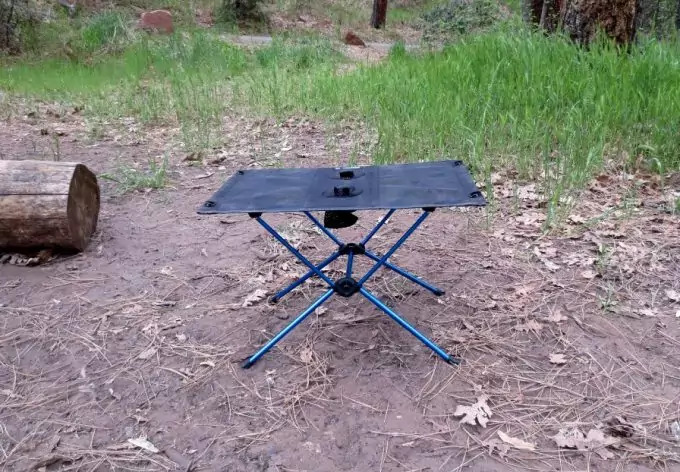 Cool camping item: Helinox Table One is considered by some a must have, while others think it’s just an enhancement for any outdoor experience. Having coffee in a hammock while watching the sunrise is not a bad idea at all, but some prefer the old fashioned chair and table to enjoy their morning coffee and their meals as well. This particular table is light weight, made of polyester and foldable. What more could you ask from a camping table? If you’re thinking of leaving your car and then venture yourself in the wild, then you’ll need light weighted items that you can carry around all day. Some of the items are the same as in case of car camping, but the best buy options you have are different. This is because they are adapted to carrying, not moving them from the car to the ground and back. Looking for ways to pack more intelligently? Our article on the best backpacking gear for a rewarding camping experience is a must-read. 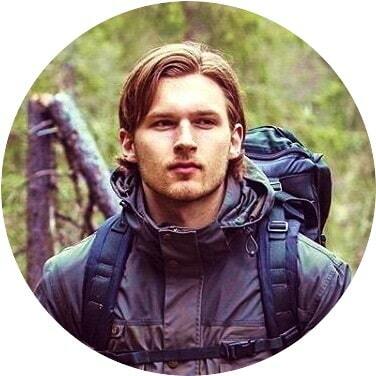 Your list should contain: tent, tent stakes, tent footprint, sleeping bag, sleeping pad, backpack, trekking poles, ice axe, headlamp, pot, stove, mug, knife, portable solar panel and so on. Tent. Every tent that is lightweight and has extremely good insulation characteristics is pricey. For example, Hilleberg Anjan 2 Person Tent is a tent that you can use for 3 seasons, but it isn’t suited for snowy areas. It is superlight to carry and it can face strong winds. It comes with a single entrance and a vestibule that is roomy enough to deposit your backpack. The outer tent walls can be adjusted according to the weather conditions. Users consider it high-quality and resistant under the sun or pouring rain. Condense is not something that occurs too often in this particular tent. Both the tent stakes and the tent footprint should be chosen according to the type of tent you decide to buy or you already own. Men sleeping bag. The difference between men’s sleeping bags and women’s sleeping bags is the size. Other than that, the sleeping bags maintain the same characteristics. For example, the Cosmic Down 20 Degree Sleeping Bag measures 16 x 9 x 8 inches and it weighs 3 pounds. It is ideal because the humidity problem is solved almost 100%. The material used to make this sleeping bag stays dryer, keeps you warmer and it dries faster when needed. Users are thrilled about the zipping system of this model. Women sleeping bag. The North Face Cat’s Meow Sleeping Bag is made of nylon ripstop and nylon taffeta, weighing just 1 pound. It is warm, comfortable and it’s constructed in such way that heat loss is not an option. It could keep you alive in case of low temperatures, but it’s not recommended to expose yourself to 20 degrees Fahrenheit. It comes in the mummy shape, which is known to retain heat best, even though you can’t move too much while in it. Sleeping pad. The Therm-A-Rest Z-Lite SOL Sleeping Pad features the ThermaCapture surface, which is the best because the soil won’t absorb any of your heat. On the contrary, you will warm up with your body heat. This is a durable and comfortable sleeping pad that you can carry above your backpack without feeling the extra weight. Men’s backpack. The Osprey Men’s Volt 75 Backpack measures 4 x 13 x 33 inches and weighs 3.77 pounds. It comes in one size and it can carry 75 liters. The cushioning and the ventilation system are incredibly qualitative, as well as the Stow-on-the-Go(TM) trekking pole attachment. The hip belt is the one that holds all the weight and the torso length is adjustable. Women’s backpack. Women don’t have to carry less weight, but their physical constitution is usually smaller than men’s. So, they need a special backpack, like Kelty Women’s Coyote 75 Internal Frame Backpack in order to feel comfortable. Fitting the backpack to one’s torso is the most important aspect, especially when planning on carrying weight. This one is more organized than men models and comes with many different pockets. The rain cover is not included, so don’t forget about that! Trekking poles. These items aren’t necessary unless you plan on going places that require them. If you do, then you can safely choose the Black Diamond Trail Back Trekking Poles, which are provided with rubber grip and nylon webbing strap. They are durable, light weight, adjustable and come with flip locks. Ice axe. If you’re really planning on changing the environment and foresee ice blocks, then you must have an ice axe with you. Black Diamond Raven is a traditional mountaineer’s ice axe. It is made of lightweight aircraft aluminum alloy, which confers it high strength. Also used as climbing tool, it can get you out of trouble or make your climbing easier, favoring shortcuts. Made of stainless steel and brass, the MSR WhisperLite Stove differs from any camping stove thanks to its small size. It burns on white gas, it comes with a lifetime warranty and it only weighs 1 pound. Ideal for camping and hiking, it is a best buy suggestion made by professional hikers who have tried multiple stoves alike. Mug and pot. Regarding the cookware you can take with you while going on backpack trips into the wild, it really depends on your needs. It goes without saying that you should find something small and lightweight that is easy to clean. 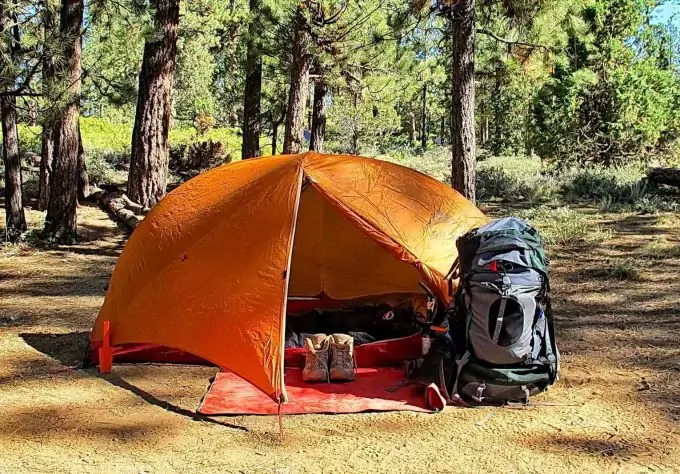 Now that you have figured out the basics, it is time to take a look at all the cool camping gear available on the market and at the gadgets that you’ll enjoy having with you while you’re out, camping. As a warning, these are not best buy items. Most of them are just cool and less practical, so the quality/price ratio is no longer applicable from here on. When you are tempted to buy a sleeping bag with an anatomically design of your body imprinted on it, you are definitely not thinking about the practical aspects anymore. However, the following items are both practical and cool at the same time. 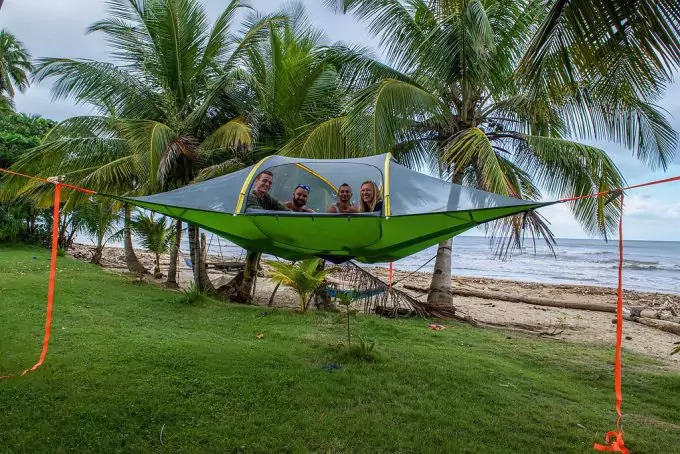 Well, maybe the hanging tent is not the most practical choice, but it’s cool nevertheless! The blanket that repels insects. 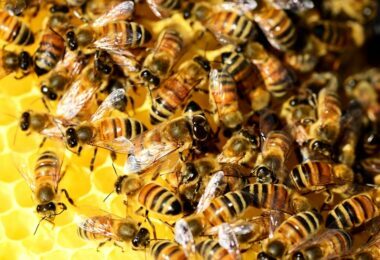 Thanks to a chemical substance that is totally harmless to humans, insects are kept away from the blanket soaked in them. When you go outdoors, you should be mentally prepared for encountering various insects. With or without anti-insects lotions on, the insects will still crawl on your stuff. However, if you own this really cool blanket, you’ll be able to sit on it or cover yourself with it in order to send insects away. It’s actually okay to leave food on it because nothing will touch it. Except the bear, of course! The hanging tent. Not for backpackers or family campers, the hanging tent is not something you need, but something you might like a lot! This type of tent keeps small animals away from you and mud will never get on it. It is kind of a luxurious item for those days when you just want to relax away from any distractions. Squirrels might pay you a visit, but other than that, you can enjoy the feeling of a sturdy hammock that comes with a roof. Waterproof headset for music lovers. The IE2-MBK-X Surge Contact Waterproof Sport Headset is ideal to take with you in extreme weather conditions. Both sweat proof and waterproof, they deliver a rich sound even underwater! Hopefully it won’t rain that heavily and you’ll be able to enjoy your music even when you’re away from the city. High pressured shower anywhere. Winner of Gear of the Year in 2012, the Nemo HelioTM Pressure Shower is a high tech outdoor gear that will allow you to take a refreshing shower thanks to its easy-to-use foot pump that can’t over-inflate and provides constant water pressure. This item doesn’t have to be hanged to use. You just leave it on the ground and wash yourself or other stuff without hassle. Tough camera to take along. The Panasonic DMC-TS6D LUMIX WiFi Enabled Tough Adventure Camera is waterproof, shockproof, dustproof and freeze proof camera. In addition, it has Wi-Fi capabilities to wirelessly transfer your content. Your smartphone can act as a remote for this camera, thanks to its NFC-enabled technology. The size of its display is 3 inches and its dimensions are 2.4 x 7.8 x 5.5 inches. For other technical details, check out the link above. See our article featuring solar-powered tents to give you more awesome ideas. Camping is definitely not a one-time activity. 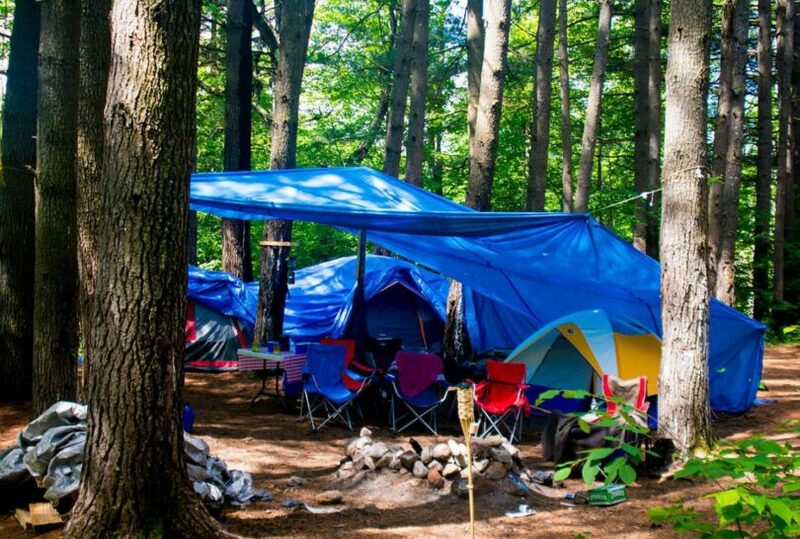 If you like camping, you’ll be constant about practicing it regardless who accompanies you. It would be a waste of money and time spent on research not to continue such a relaxing activity that can help anyone get away from all the stress present in the city. At first, purchasing all the needed items might be discouraging because they require a serious investment. Even so, you don’t have to buy all the items at once unless you want to leave overnight. Opting for qualitative gear is crucial because otherwise you’ll end up renewing your gear every couple of years. 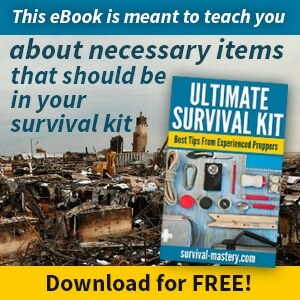 Learning how to survive while car camping or backpack camping can help you be more disciplined and, ultimately, you can develop skills needed in case something disastrous happens. You might not need the solar panel for your smartphone then, but you’ll definitely need it to charge your GPS and find a save spot where you can spend the night. Having a few extra batteries around and the first aid kit can be included in the category of gear for camping if that means you won’t forget about them. Remember that safety comes first and keep that in mind before saving a buck or two on less qualitative items. Happy camping!